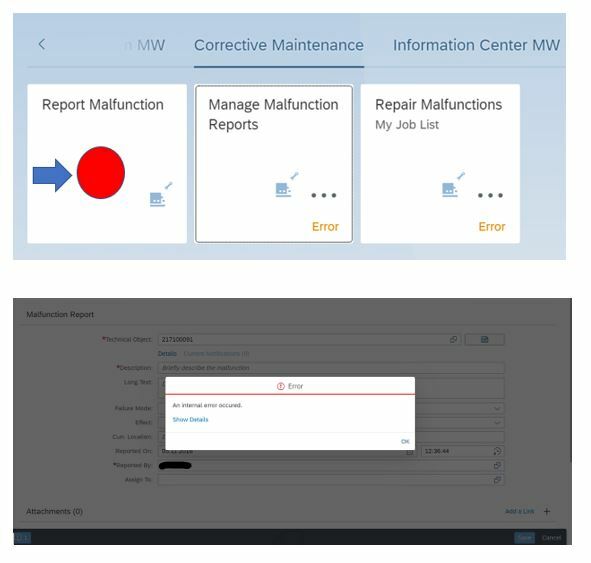 The fiori app “Report Malfunction” when launched can report an error under certain conditions.This blog is to share this issue faced while creating malfunction type notification using the fiori app. Also the fix to this issue is shared. 2. The fix for above the issue on analysis has been found to be a missing configuration. The configuration node is under Plant & Maintenance , Maintenance Notification & Order Processing node. 3. 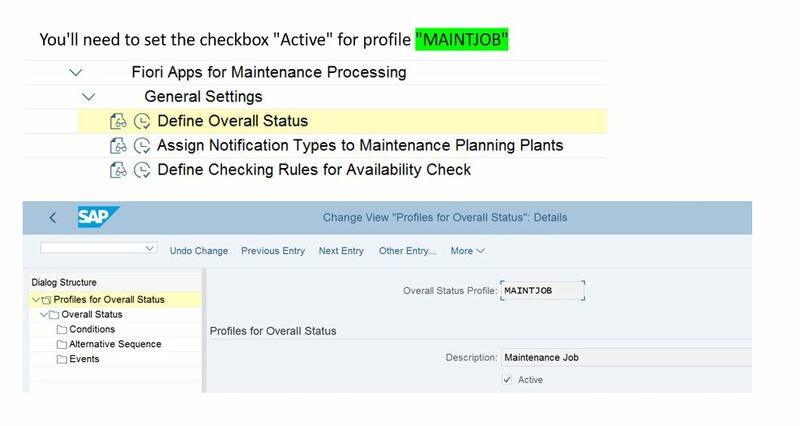 Go to Fiori Apps for Maintenance Processing >> General Settings >> Define Overall Status. Under Profiles for Overall Status, tick the check box Active. On completing this configuration, the fiori app was launched . Now the error encountered originally got resolved and the malfunction report could be created successfully. In conclusion, the root cause for the error in running the fiori app was the result of a missing configuration.